6:10-18 Spiritual strength and courage are needed for our spiritual warfare and suffering. Those who would prove themselves to have true grace, must aim at all grace; and put on the whole armor of God, which he prepares and bestows. The Christian armor is made to be worn; and there is no putting off our armor till we have done our warfare, and finished our course. The combat is not against human enemies, nor against our own corrupt nature only; we have to do with an enemy who has a thousand ways of beguiling unstable souls. The devils assault us in the things that belong to our souls, and labor to deface the heavenly image in our hearts. We must resolve by God's grace, not to yield to Satan. Resist him, and he will flee. If we give way, he will get ground. If we distrust either our cause, or our Leader, or our armor, we give him advantage. The different parts of the armor of heavy-armed soldiers, who had to sustain the fiercest assaults of the enemy, are here described. There is none for the back; nothing to defend those who turn back in the Christian warfare. Truth, or sincerity, is the girdle. This girds on all the other pieces of our armor, and is first mentioned. There can be no religion without sincerity. The righteousness of Christ, imputed to us, is a breastplate against the arrows of Divine wrath. The righteousness of Christ implanted in us, fortifies the heart against the attacks of Satan. Resolution must be as greaves, or armor to our legs; and to stand their ground or to march forward in rugged paths, the feet must be shod with the preparation of the gospel of peace. Motives to obedience, amidst trials, must be drawn from a clear knowledge of the gospel. Faith is all in all in an hour of temptation. Faith, as relying on unseen objects, receiving Christ and the benefits of redemption, and so deriving grace from him, is like a shield, a defense every way. The devil is the wicked one. Violent temptations, by which the soul is set on fire of hell, are darts Satan shoots at us. Also, hard thoughts of God, and as to ourselves. Faith applying the word of God and the grace of Christ, quenches the darts of temptation. Salvation must be our helmet. A good hope of salvation, a Scriptural expectation of victory, will purify the soul, and keep it from being defiled by Satan. 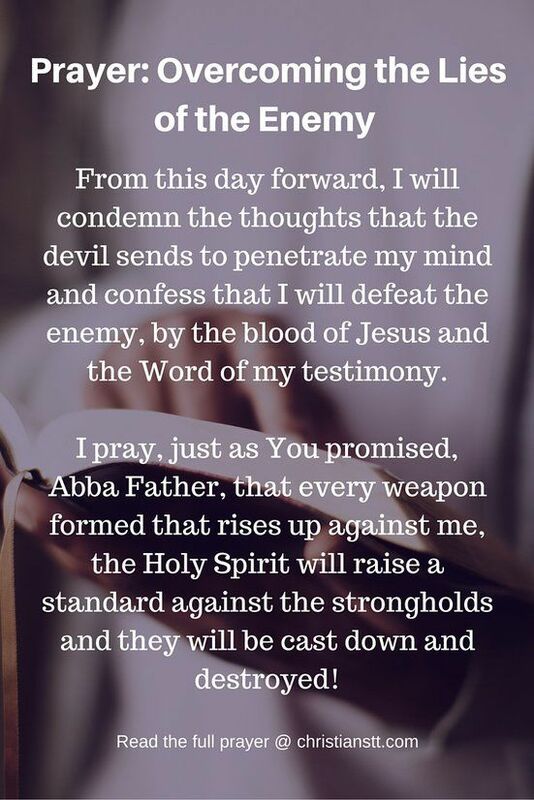 To the Christian armed for defense in battle, the apostle recommends only one weapon of attack; but it is enough, the sword of the Spirit, which is the word of God. It subdues and mortifies evil desires and blasphemous thoughts as they rise within; and answers unbelief and error as they assault from without. A single text, well understood, and rightly applied, at once destroys a temptation or an objection, and subdues the most formidable adversary. Prayer must fasten all the other parts of our Christian armor. There are other duties of religion, and of our stations in the world, but we must keep up times of prayer. Though set and solemn prayer may not be seasonable when other duties are to be done, yet short pious prayers darted out, always are so. We must use holy thoughts in our ordinary course. A vain heart will be vain in prayer. We must pray with all kinds of prayer, public, private, and secret; social and solitary; solemn and sudden: with all the parts of prayer; confession of sin, petition for mercy, and thanksgiving for favors received. And we must do it by the grace of God the Holy Spirit, in dependence on, and according to, his teaching. We must preserve in particular requests, notwithstanding discouragements. We must pray, not for ourselves only, but for all saints. Our enemies are mighty, and we are without strength, but our Redeemer is almighty, and in the power of his mighty we may overcome. Wherefore we must stir up ourselves. Have not we, when God has called, often neglected to answer? Let us think upon these things, and continue our prayers with patience. Verse 11. - Put on the entire amour of God. Chained to a soldier, the apostle's mind would go forth naturally to the subject of amour and warfare. Put on amour, for life is a battle-field; not a scene of soft enjoyment and ease, but of hard conflict, with foes within and without; put on the amour of God, provided by him for your protection and for aggression too, for it is good, well-adapted for your use, - God has thought of you, and has sent his amour for you; put on the whole amour of God, for each part of your needs to be protected, and you need suitable weapons for assailing all your foes. That ye may be able to stand against the wiles of the devil. Our chief enemy does not engage us in open warfare, but deals in wiles and stratagems, which need to be watched against and prepared for with peculiar care. Class 3- 1 hour- Prayer, the power of it. Welcome back to our 3rd class! What have you learned so far? What tools have you been able to use that maybe you didn’t have in your arsenal? Today, we are going to talk about prayer and the importance of it. We will use some of Priscilla Shirer’s teachings. She has been around for a while now and played in the movie War Room as a wife who was learning how to pray for herself, her life, her family and such. She was watching her life fall apart and she wanted it back. 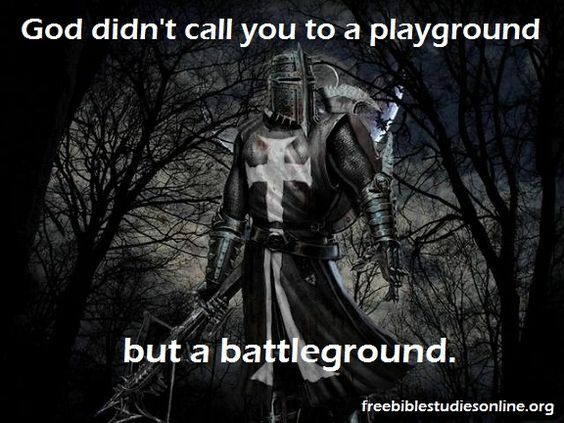 Our Sword is our most important tool we have in our armor. It’s the only offense we have. So we must learn how to use it wisely and appropriately. We have this class and the next to learn how to use this tool. 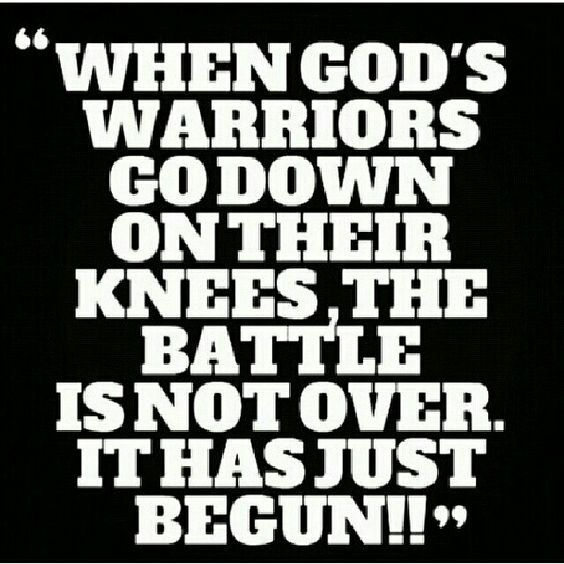 This class we will learn how to pray for battle daily. Most of you commute to work right? This is a great time to take on the lead of prayer. So, let’s start with prayer and then we are off on an ultimate adventure to trust Jesus all along this way. If you search you can find a lot on prayer. You can also find a lot of areas in which to dig in a learn about prayer. You can read a lot on the Power of Prayer, you can get yourself all ready for it, but if you don’t participate in it, it means nothing. We have to participate in it and be an active partner in it. In an article from Today’s Christian Women we find this one. Rise up from your rut and reclaim your spiritual passion. Have you ever found yourself in a spiritual rut? I know I have. Life gets busy, church feels like one more thing on your to-do list, and prayer feels both cumbersome and ineffective. Beyond the fact that life itself can become overwhelming, even sapping your spiritual vitality, there is a more pressing culprit that threatens to marginalize your prayer life: You have an Enemy waging war on your soul. Make no mistake, this is a war. You are in the fight of your life. A very real Enemy has been strategizing and scheming against you, assaulting you, coming after your emotions, your mind, your future. But I say Satan’s reign of terror stops here, now. He might keep coming, but he won’t have victory because his power starts failing when we start praying. I’m willing to admit, right up front, that I don’t fully understand this. There’s an undeniable, unknowable, invisible mystery to the power of prayer. That’s why our first reaction to prayer may be to dismiss it, downplay it, or even devalue its critical importance. Prayer, we think, is a good idea in theory—if only it would actually make a difference. That thinking is what gets us in trouble. When we underestimate the power of prayer, when we think it doesn’t work, when we choose to believe that God won’t answer our prayers or that he isn’t listening, we wave a white flag and invite Satan into our situation. Believe me when I say that praying is the last thing Satan wants you to do. He will discourage you from doing it. He will dissuade you from it, and he will disarm you by putting a distaste for prayer in your mouth. He wants to see you passionless, prayerless, and powerless. Perfectly quiet. And because prayer is the divinely ordained mechanism that leads you into the power and victory of Christ, Satan knows you’ll remain defeated and undone without it. Despite what we may or may not understand about prayer, God has deliberately chosen this particular vehicle as the one that drives his activity in his people’s lives. It is the means by which he allows us to partner with him in the fulfilling of his will. He has created prayer as a primary way of putting us into personal contact with him and with his eternal realities, any hour of the day or night. Prayer is the portal that brings the power of heaven down to earth. It is kryptonite to the Enemy and to all his ploys against you. When Paul describes our spiritual armor, he includes the belt of truth, the body armor of God’s righteousness, the shoes of peace, the shield of faith, the helmet of salvation, and the sword of the Spirit—the very Word of God. But he doesn’t stop there. “Pray in the Spirit at all times and on every occasion. Stay alert and be persistent in your prayers for all believers everywhere,” Paul says in Ephesians 6:18. There it is. The fuel that drives everything: prayer. Now you can understand why Satan would want to masterfully engineer the spiritual rut you may experience from time to time—for a week, months, maybe even years. Your get-up-and-go has simply gotten-up-and-gone. Maybe you’ve prayed and prayed for the same thing, over and over. Maybe you’ve wanted God’s will so badly and wanted life to look different for so long that you’re ready to give up. Maybe you’re feeling utterly discouraged or disappointed right now and not sure why you keep being surprised every time the same difficulties pop up again and again. Maybe other demands and distractions have leaked into your heart over time, crowding out space where older, nobler priorities once ruled. I understand all of that, and I have felt a lot of it too. But nothing—nothing—in your life is too far gone that God’s power cannot resurrect it—not even your passion for prayer. So go to him to get it back. Don’t try to regain your passion for prayer yourself. Don’t set your hopes on other people or circumstances to fuse it back into the fiber of your being. Trust this desire into God’s care. Only his miraculous work can make your belief in the power of prayer bubble back up to the surface where it belongs. And he is more than willing to do it! Since filming War Room last year, I’ve devoted space in my closet to this specific request. It’s a tiny space, but I’ve made whatever room I can to plaster my prayers to God on the wall. And along with the requests for my husband, children, friends, and our ministry’s impact, I also pray fervently and regularly for God to stir a passion in my own soul that cannot easily be snuffed out. The unique, pressing demands of the last couple years have taken their toll, sometimes showing up in hints of spiritual apathy that I know the Enemy relishes. So I’ve had no shame in praying for myself, that God will stir passion in me. God’s plan for me and you is to move us into a position of impact by infusing us with his truth and employing us in powerful and effective prayer. You don’t need to be a genius to do this. You don’t need to learn ten-dollar words or be able to spout theological terms with ease. You just need to bring your honest, transparent, available—and let’s just say it—fed-up, over-it, stepped-on-your-last-nerve self to the throne of God. Get ready to become fervent and relentless, all in his name. Priscilla Shirer stars in the family drama War Room and is the author of Fervent: A Woman’s Guide to Serious, Specific, and Strategic Prayer. She is a New York Times best-selling author and speaker. You can learn more about Priscilla’s ministry at GoingBeyond.com. I could not figure out why my Sunday morning groups were not growing in their faith, when I was in prayer about it, the Lord said it wasn’t them, it was me and the way I was teaching them. I have changed my teaching style to grow young disciples instead of considering them the “left behinds” because they were not involved in Wednesday evenings. Through the Holy Spirit, we have begun a good work and will continue to listen to the Holy Spirit’s voice. A few years ago, I attended a worship seminar called “Teaching Kids Authentic Worship: Keeping Them Close to God for Life” by Kathleen Chapman. (Chapman, 2003, p. 184). She said it was so very important to teach the children how to worship Jesus and how today’s music doesn’t always take them to the worship of Jesus or God. On page 31, she says “Worship is one-directional. Worship is focusing on God and giving all the glory to Him only, alone, singularly, totally – just Him.” She goes on to say “There are many other words in Scripture that do the same. For example, khavah, meaning “worship, kneel, prostrate,” is mentioned sixty-five times in the Old Testament. Some Greek words in the New Testament that literally mean “worship”- God’s worth – may be translated either “praise” or “glory.” However, in these cases they always pay singular honor to God alone! Sometimes we forget that, even when we are in prayer, unless we have learned the ways to pray and the way in which we can just come and love on the Lord without expecting something in return. When we pray, using the Lord’s Prayer as a model, the first petition is to glorify and honor God above all. Entering His presence with praise and thankfulness, worshipping Him in spirit and in truth. It isn’t about us during this first petition, it is solely about God; humbly, obedient, loving, yielding, honoring and more. For most, it is usually about us and not about God. I return frequently to “Teaching Kids Authentic Worship” to gain strength in teaching worship and to remind myself what it really means to worship God only, in prayer and in the music I choose. I have used it to really look at the music we sing, the way we take the time to explain worship and then teach the kids what it means to worship and pray. Teaching children to really pray and worship our Lord when they’re young will be a benefit to them as they grow in their faith walk. By teaching that Faith is generated by the Word/ Rhema of God, we teach them to stand in the faith and to stand strong. Teaching them how to pray and how to worship God alone is important. Smith Wigglesworth had a lot to say on prayer. (Wigglesworth) Sermon series found online at www.smithwigglesworth.com talks of “The child of God ought to thirst for the Word. He should know nothing else but the Word, and should know nothing among men save Jesus. “Man shall not live by bread alone, but by every word which proceedeth out of the mouth of God.” It is as we feed on the Word and meditate on the message it contains, that the Spirit of God can vitalize that which we have received, and bring forth through us the word of knowledge that will be as full of power and life, as when He, the Spirit of God, moved upon holy men of old and gave them these inspired Scriptures. They were all inbreathed of God as they came forth at the beginning, and through the same Spirit they should come forth from us vitalized, living, powerful and sharper than any two-edged sword. Our Faith allows us to see God, to hear God, to understand Him, to give all we are to Him. To stand at His feet and lay down our burdens, our cares and concerns, our praises because of what we have asked in His name, and to see the results that God gives us. Our faith is the substance of things hoped for and the evidence of things not seen. My husband and I pray together every day in agreement and in intercession; for our ministry, our co-workers, family, our hopes and dreams, healings and more. We have found that praying together is the foundation of our relationship. We watch our prayers being answered in God’s timing and in due time. Trying to implement this into ministry has been more difficult because of where we are and what “they have always done” or not done. As co-workers have asked, I have prayed with them and others when they ask if I would pray for so and so, instead of just taking the prayer request, I will ask if we can pray in agreement together for them. At first this took many by surprise, but it has built relationship with them and we are in agreement as God’s Word says. In the Power of Praying Series, Stormie Omartian breaks down prayer into bite size pieces for everyone. In the “Power of a Praying Kids (Omartian, 2005)” she breaks down the reasons and how to pray, for the children. She gives parents insight in how God hears their children, sometimes greater than the adults, because they have pure faith. They are ready to believe God, trusting Him to answer their prayers. They don’t carry the same doubts as the adults. They also have a passion for others that sometimes adults don’t have. She explains the different types of prayer and the definitions of prayer in language the children understand. As adults, sometimes we are so busy trying to pray the right way and say the right things, sometimes we don’t give the children enough credit and teachings to change the nation. Teaching children to pray gives them another stone in their foundational walls and if we did teach them, the change in the churches would be incredible. In the Bible Prayer Study Course by Kenneth E. Hagin, our study book, he lists the seven most important things in prayer. Number one- pray to the Father in Jesus’ name. Number two – believe when you receive when you pray. Number three – forgive if you ought against any. Number four – depend on the Holy Spirit’s help in prayer. Number five – depend on the Holy Spirit in the prayer of intercession. Number six – Edify yourself by praying in tongues. Number seven is to interpret your tongues as the Holy Spirit wills, in your private prayer life. He says “We will begin to understand what it is to enter into this supernatural realm of prayer, where we pray with our spirits and our understanding under the inspiration and direction of the Holy Spirit.” We have so many benefits that sometimes we just don’t know about all of them. We have a rich inheritance as the children of God but only a few of us are taking advantage of what really belongs to us. To effectively use these steps, we must let go of our self and let the Spirit who dwells in us take it on. Allowing the Holy Spirit to do the intercession between you and God gives the power behind the prayer and the faith that we have in our spirit to allow the Lord to take care of business. Having a heart attitude towards worship, whether in a worship service or prayer time, allows the spirit to lead in our lives. The fruit of the spirit will then bring the peace in your life and others will see that peace that passes all understanding. Our prayer lives should be an ongoing, ever evolving process in which we are sensitive to and know what we ought to pray. We ought to take the examples of Jesus’ life and use them in our own lives to pray. Don’t just pray to be seen by man. We must ask in faith because God responds to our faith not to vain repetitions. We must put the Kingdom of God first and foremost. Know that when we ask in the Name of Jesus, we will receive, but above all those, pray to the Father in Jesus’ name. Do we pray in all occasions, good AND bad? Do we address God daily? Are we praying for our loved ones? Are we praying protection over our marriage and family? Do we thank God with a humble heart? So after reading this or listening to it, let’s make a plan together right now, one that is easy enough for you to stick with and one that you will use. I know sometimes we get so excited about using something new that the newness wears off and we are lost again. It takes at least 6 weeks of daily doing to become a habit. 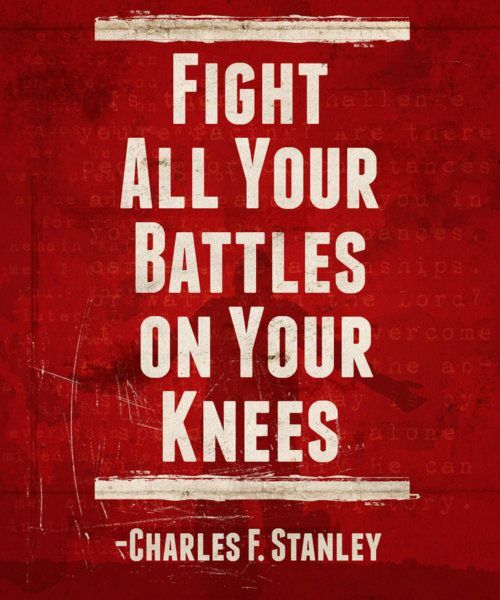 Prayer is our ultimate fighting tool. It’s one that is something you can run to, you can do, you can do it anywhere, you can use the Word of God as your sword as well and how to use it. One of the greatest tools and one of the ways you can stick it to the devil. We have looked at different ways to pray and what to pray for. So, let’s take it to a new level. Get your paper out and quickly write down those things that come to mind you need to pray for. (5 min). Okay, now we are going to pray over them, as we begin to pray I want you to insert their names or whatever the prayer is. Then we are going to list those that are prodigals in your family or your life. Those that walked away from the Lord or have lives that are not lined up with the Lord’s call. It’s not with judgement, it’s with love that we call this out. There are a lot of prayer books out there, and I have used them. 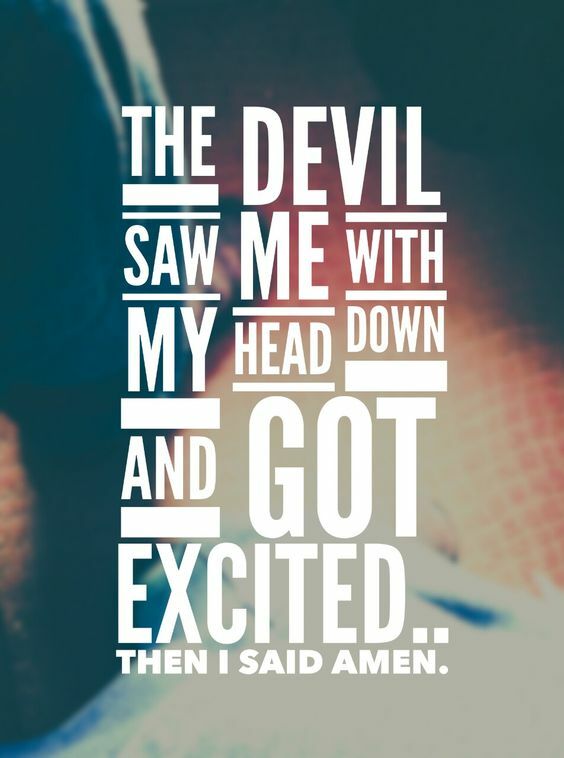 I also find awesome prayers on Pinterest. In fact, that is where all of the pictures and prayers came from here. I find it the best tool for finding help in my walk. Our oldest daughter Jessica- To answer your questions I learned how to pray in a slow steady progression as I grew up in my faith. I first had sought the knowledge God offers thru the bible, reading Christian books and listening to sermons have all help mature me in how I change my life thru prayer, what can be given to prayer, how to use prayer, learning about how God answer and responds to prayer. There is so much wealth to be learned and gain that it truly is a life of seeking and constant growing. Have you ever thought about prayer as another vitally important discipline in your life? Yes, you pray because of your love and devotion to the Lord. But if you don't plan the time to pray it just may not happen. Daily the news is daunting. Do you wonder just what will happen next? You can live in fear or you can pray more. Be sure you're walking a righteous holy life. Put away sin and run to God and pray. Therefore, confess your sins to one another, and pray for one another so that you may be healed. The effective prayer of a righteous man can accomplish much." (James 5:16)In James 5:16 it says Confess your trespasses to one another, and pray for one another that you may be healed. The effective, fervent prayer of a righteous man/women avails much. From a ministry buddy from years ago, Darcy- she is an amazing women of God. How did you learn to pray fervently and effectively? Watching my mom pray for things. She prays for parking spaces, I thought it was frivolous but she told me that if we can’t trust God with the small stuff how can we trust Him with the big stuff. I also started prayer journaling this helps to really get everything out in a stream of consciousness. I still struggle with this – God gives me opportunities of unsettled times – these draw me to my knees and it is my only way of comfort. I also appreciate wrote prayer or just praying Jesus, Jesus, Jesus or mercy, mercy, mercy when I can’t verbalize. 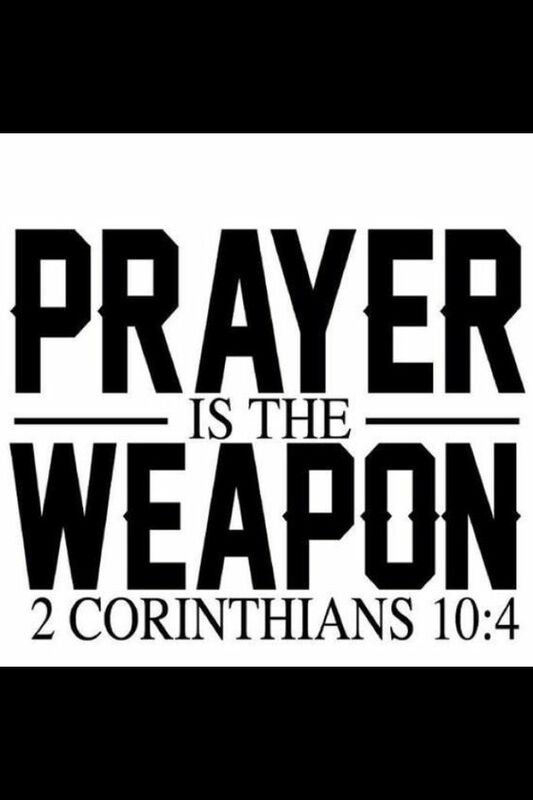 Prayer is your ultimate weapon, it cuts to the bone of the devil that comes up against anything your try. It reaches the heart of the Lord because He loves his children and wants them to prosper. Prayer is our defensive weapon. Prayer matters! “Our enemy celebrates lethargic Christian living. When we’re giving up our relationships, disregarding the purity of reputations, yielding to our appetites without putting up much, if any, ...of a fight, he can basically go unchecked. Wreak havoc in the lives of God’s people. Ultimately he can hamstring the church from achieving the purposes of God. Our indolence and makes us dissinterested in our work for the Lord to his great advantage, practically rolling out the red carpet for his entrance into the unlocked doors of our indifference and despondency. He’s hardly going to pass up an opening like that. That’s why he works so hard to beat you down with discouragement. Rag you into discontentment. Lie to you about who God is, causing you to doubt the Lord’s all-good intentions toward you. Hammer you with accusations that place a burden of shame and guilt on your shoulders too heavy to carry. Trick you into thinking your situation will never change, and that God doesn’t hear you or care about you when you call out His Name. Soon your fire of passion starts to burn low. You grow lackluster. Disinterested. Low in Spiritual fiber. Your spiritual armor goes unworn and unused. Now you are exactly where the enemy wants you-where you no longer want to fight for the peace and passion of your marriage, where you no longer believe your child can be restored, where you no longer hope for healing in your body, where you no longer see any path to freedom from your addictions, where you just don’t see the purpose of praying anymore… So you don’t. You don’t ask or seek, or knock. You don’t take advantage of your heavenly places position and the benefits package that comes from having “every spiritual blessing” in the universe handed to you as an inheritance. Maybe you kind of don’t care anymore. You’re not even sure you want to. But through prayer, you can get your want back. Ephesians is broken in two parts, the first part is what God did for you on the Cross at Calvary. The 2nd part is what you are to do for the Kingdom and how to keep it. It is a mix between God's blessings and your responsibilities. What blessings are you receiving and what do you need to do to keep them?